Chef’s Log 54: The Unbearable Lightness of Beef | The Spoon From Outer Space. Yes, beef has been banned in Maharashtra. Well, whatever was passing for beef. I’m not very certain now if I have ever really tasted cow meat. I will not comment on the silliness of humans letting politics (disguised as religious sentiments) dictate their food choices. I will not try to illustrate how beef is an excellent and cheap source of protein, and thereby good for human health. Nor will I point out how banning the meat will adversely affect the status of the economy, lead to a loss of jobs or deprive the poor animals themselves of fodder. I will not even judge or look down upon these developments from my lofty alien perspective. I will simply eat beef. And enjoy it. 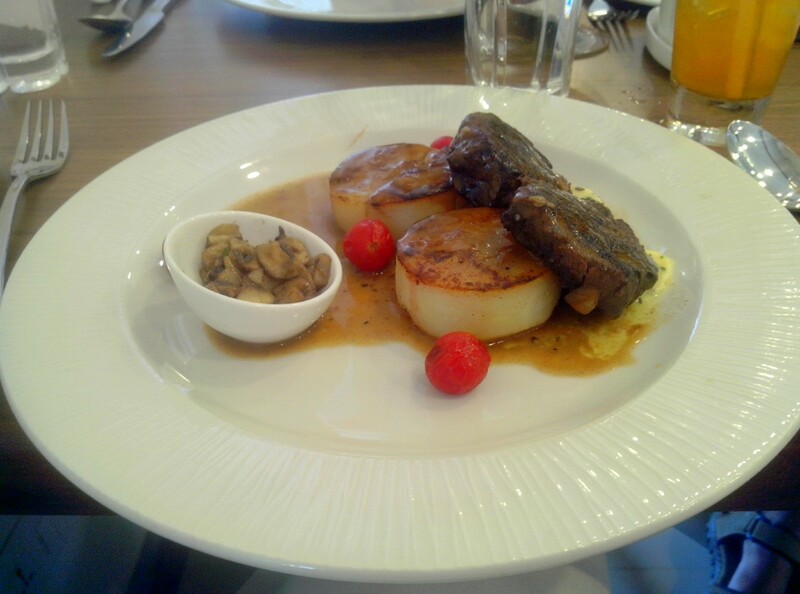 Juicy and lightly crisped tenderloin with potato fondant and mushroom ragoo. Swimming in a sea of herbed butter. Absolutely delicious. From Cyrus Todiwala’s The River Restaurant at Acron Waterfront Resort, Baga, Goa. i always knew aliens liked my village. always!